Like all other sporting events, I attend for the food. March Madness is no exception! How do you make the fruit pizza crust? 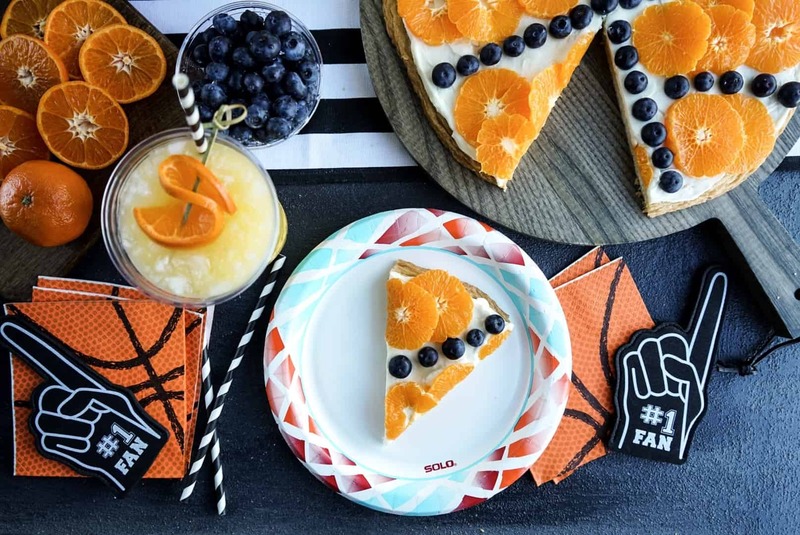 This easy to make basketball fruit pizza recipe was made with (gasp) store bought sugar cookie dough!! Let’s be honest, you’re not going to want to spend all morning in the kitchen when guests are coming over. So even the Dinner Fairy is allowed to take shortcuts. I picked up my favorite sugar cookie dough from my local grocery store and rolled it out into a big old circle (about 1/4″ thickness) and threw it in the oven. Just remember: Let the crust has to cool before you do the cream cheese frosting otherwise it’s going to be a big mess. While it’s baking, you can whip up the cream cheese frosting! 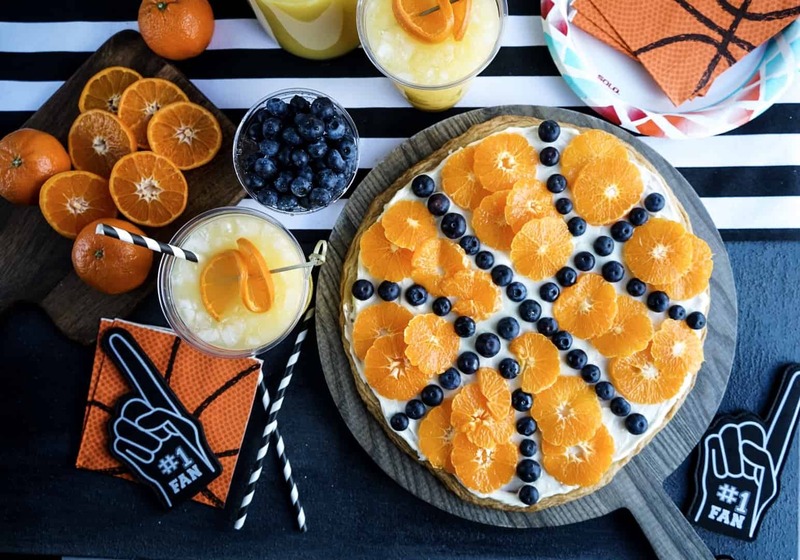 How do you make the Basketball Fruit Pizza cream cheese topping? This fluffy cream cheese frosting takes just 5 minutes to make. Combine all of the frosting in a bowl and beat with a hand mixer on high for 5 minutes. 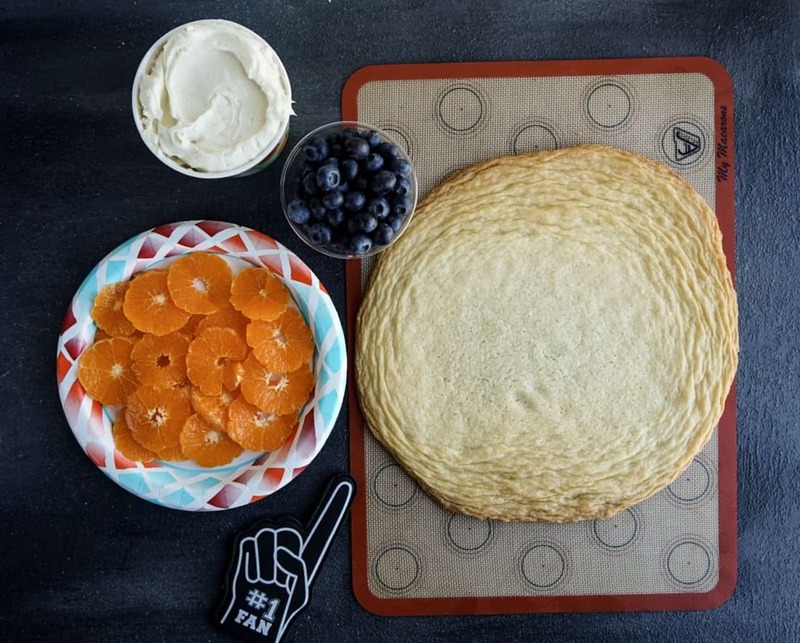 Using an offset spatula, spread cream cheese frosting over cooled sugar cookie crust. 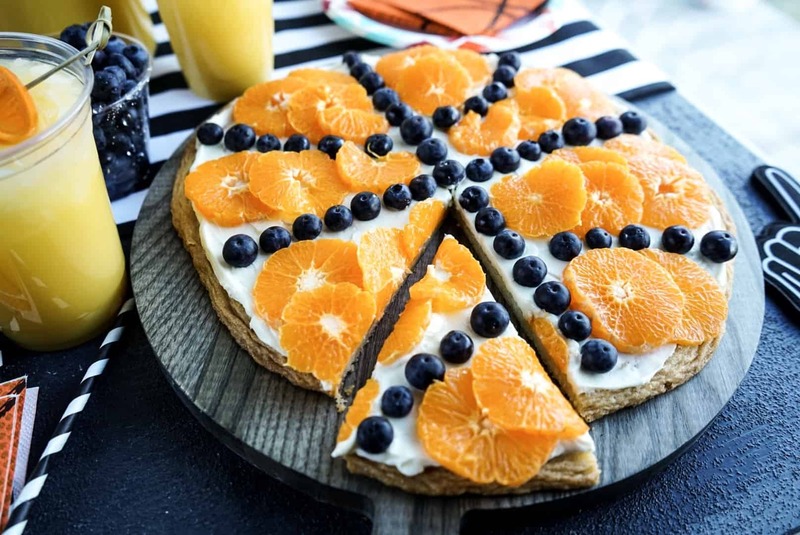 What fruit should I put on my basketball fruit pizza? 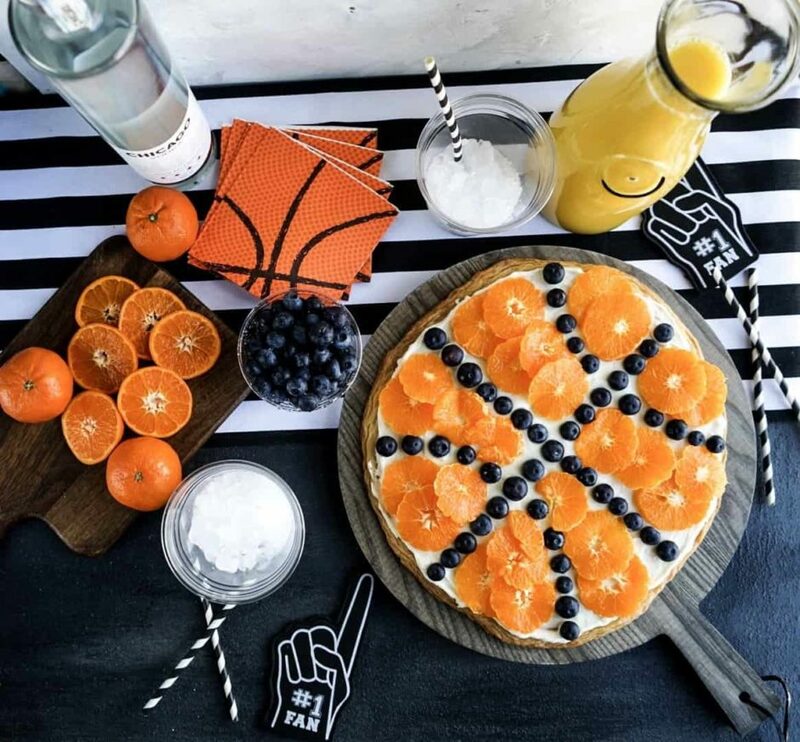 We’re creating this basketball pizza to look like (what else?) a basketball! So you’re going to want to use all the orange fruits you can find. I peeled some mandarin oranges and sliced it up (about 1/4 inch thick) on a 10″ Solo Plate for assembly of the basketball fruit pizza. I created the “stitching” with some ripe blueberries. Put these in a clear solo cup if you’re making these pizzas with the kids! It’s a perfect activity for a little pre-game! Feeling thirsty all that? Check out this full court press cocktail! 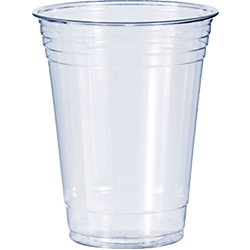 Serve it in a 10 oz Solo cup to show off that gorgeous orange color.